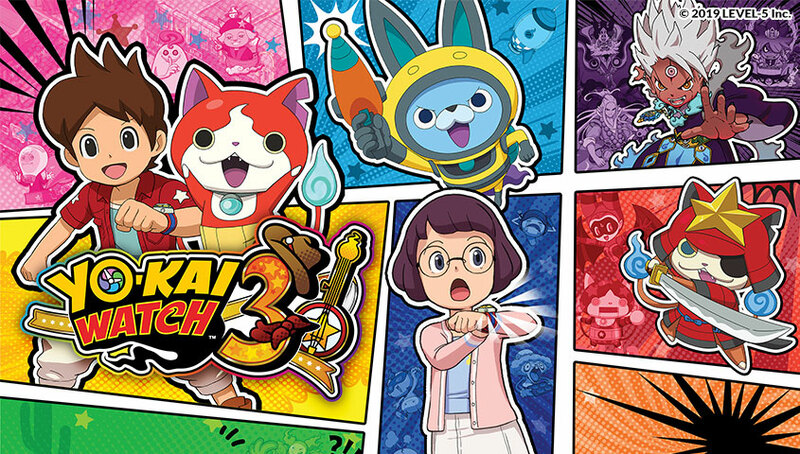 ’Merican Yo-kai have made their way to the YO-KAI WATCH 3 game and they’re rootin’ tootin’ troublemakers. Speaking of troublemakers, in the town of BBQ, zombies run wild after dark and Nate must stop them in the all-new Zombie Night mode. If you’re too afraid of zombies, you can always find treasure by exploring randomly generated dungeons and discover the truth about the mysterious ruins hidden all across the continent with the Yo-kai Blasters T group. Explore the Western-inspired location, BBQ, where ’Merican Yo-kai run rampant. Train up your very own Nyan, a cat like Yo-kai, in Build-a-Nyan. For more information about the game, visit the official site.